“Make prayer time parent time…At a parenting workshop I attended a few years ago, the speaker shared how she offered her children two types of reward for good behavior: a tangible treat or one-on-one time with each parent. She said she was surprised when the kids always chose time with their mother or father over a trinket. 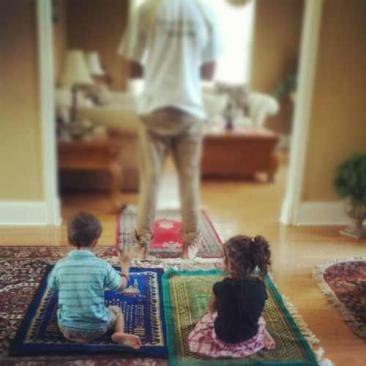 Another mum I spoke to says how she realised that prayer time was her opportunity to spend quality time with her dad. After jamaat namaaz the children would be allowed to go off but their dad would stay on and do his duas, etc, and basically be available for them. Looking back, she sees that all the major decisions made were done at that time, on the musalla!